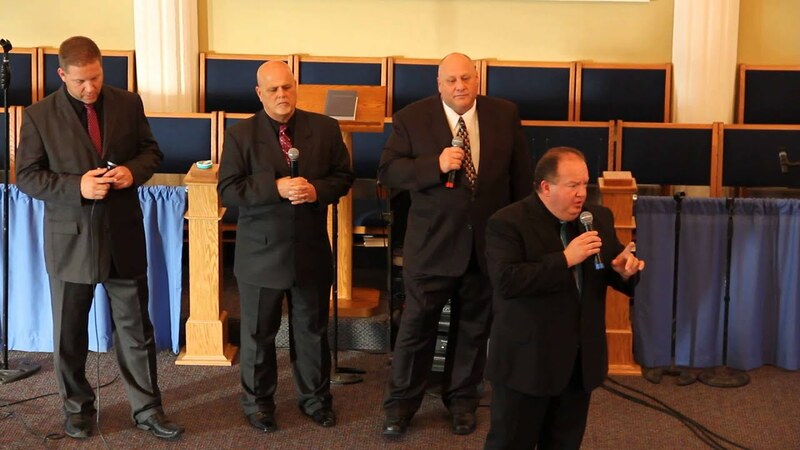 The Common Bond Quartet is a traditional Southern Gospel Quartet. We typically present a mix of songs, some of which will be familiar to those who follow Southern Gospel Music, and several selections which have been written BY us, or FOR us, and may be new to many listeners. Whatever the case, we hope the songs will be uplifting, entertaining, encouraging and maybe even a little convicting at times. One thing you will come away knowing, is that CBQ enjoys singing together, and we love singing and talking about our Lord and Savior, Jesus Christ. We recognize Him as the source of our joy, the giver of peace, the lover of our soul and our salvation! We look forward to sharing with you! Common Bond Quartet was a blessing to our homecoming. They were very good and the songs were very appropriate for Wirt Baptist homecoming. We, too, really enjoyed being with the warm folks at Wirt Baptist for their 198 Year Homecoming. What a rich heritage of faith and impact in a community! Already looking forward to returning! What a blessing they were! 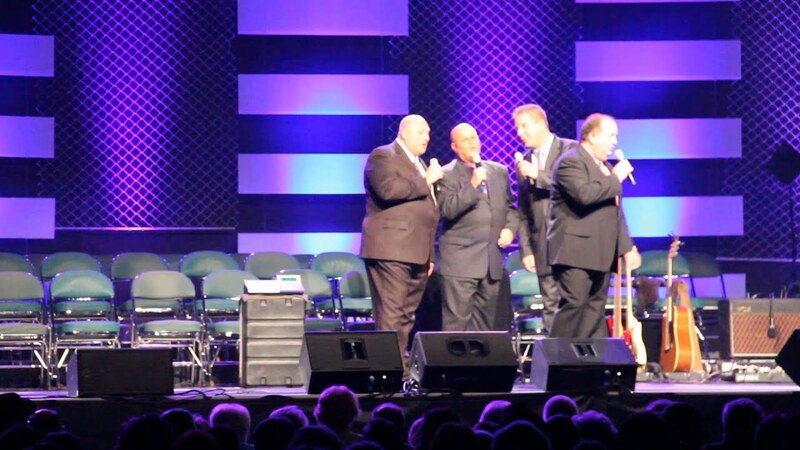 The guys were more than just a southern gospel singing group. Mike, Rick, Bryan and Kevin became quck friends. They are true gentelmen and great ambassadors of the Gospel of Jesus. Some groups have a charisma that show up on the tv or video screen but Common Bond has a Spirit that is best seen in person, A Sweet Sweet Spirit. 90th birthday celebration for my Dad. My sister and I were looking for a Southern Gospel Quartet to sing for our Dad's 90th birthday celebration. John Wells, from 770 AM connected me with Rick, from Common Bond. I taked with Rick and then gave the information to my sister, who lives in California. She was doing most of the planning. They worked out the time and schedule. We surprised our Dad. He and all the other family and friends (approx. 100 people) who came really enjoy the music by Common Bond. We had the celebration in a country church and they fit in well with eveyone. A big day for all of us!! Then we had a dinner, cake, etc. They were great. Everyone loved the music as well as each member of the group. They were very friendly, personable, and entertaining. We highly recommend Common Bond Quartet! When looking for a group for your next concert, do not look any farther! This talented group of men will not only sing with great harmony and talent but will always bring a great ministry with them. They will up lift the soul and minister to the lost! The Common Bond Quartet was at our church in White Mills, KY this past weekend and I was absolutely amazed at their performance. I really could sense that this group definately was chosen to serve God this way and the way that they work together just amazed me. I would definately like to see them again. Review by Pastor S. M. R.
The Common Bond Quartet came to our small country church in November and they were outstanding! Their musical skills are amazing, but more importantly, they were all warm and friendly, and I felt that they were genuine. We didn't have very many in service that night, but I feel that they still gave their very best performance. I would love to have them come back and sing for us again sometime! We are praying that God continues to bless their ministry and their families! This wonderfully talented quartet of men gave concert at the Midwest Seniors Conference at Catlin Church of Christ on the above date. They are absolutely awesome! I would hire them again and again. They are great singers alone and together. They brought us a powerful message in song and word. I love them! I bought both of their CD's. Execellent experience with Common Bond! These men are servants of our Lord with a wonderful Spirit. You can tell God has placed His hand on this ministry. What a great time was had at the Central Ohio Church of God Ministers' Banquet. The Common Bond Quartet helped to make our event a great success. Their presentation was inspirational, fun and included a rich quality of musicianship. Thanks for serving the Lord with this ministry, Common Bond Quartet. We invited Common Bond Quartet to our Church for a Morning Worship Service. They did a tremendous job--they made us laugh, made us cry, touched our hearts and gave us the joy of the Lord. After the service, numerous members of the congregation wanted to know if I had booked them for a return visit. They are truly doing the Lord's work in a mighty way! The Common Bond Quartet is a group of men who have committed their time and talents to using music to present the gospel of Jesus Christ.. Their desire to serve God provides the foundation for their ministry. While they endeavor to encourage and uplift believers through word and song, their passion is to plant seeds in the hearts and minds of unbelievers as they seek to further the Kingdom. During a concert, The Common Bond Quartet will be sure to have you not only smiling, tapping your toes and clapping your hands; but you will also likely be challenged and encouraged in your walk with Christ. Worship led by The Common Bond Quartet will be an experience that we're sure will be a blessing long after the last note is sung. RICK MELTON: Growing up in Middletown, Ohio, Rick loved music from the time he was small. However, he never sang before an audience until he was twenty years old and was asked to sing for his sister’s wedding. As a result of that performance, he was approached to join a trio at his home church—forming his first Southern Gospel Quartet. Rick attended Anderson University where he joined a trio and began touring on weekends. After college, his job and family obligations moved him to Mt. Sterling, Kentucky and Rick stopped touring, but devoted his time learning to play guitar and writing songs. Then about 20 years ago, he began singing with a trio in his home church in Mt. Sterling. The trio eventually (with a few additions and subtractions) morphed into the One Bond Quartet and the men sang together for several years. 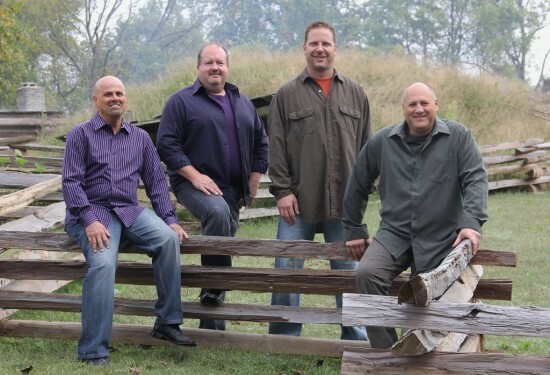 In 2009, through a series of God-ordained events, Rick and Kevin, who’d been singing together in a quartet, and Mike and Bryan, who’d been singing together in a different quartet, came together to form the current Common Bond Quartet. MIKE BRADSHAW (Baritone) was born and raised in central Illinois (Decatur). He was not raised in a Christian home, but from an early age, his grandparents and several aunts and uncles were instrumental in helping him develop his walk with Christ. One aunt and uncle (his dad's sister) in particular, took him to church regularly, as both were ordained pastors in the Foursquare Gospel church. It was there where Mike first began singing—in a middle school youth choir. Many of his family members were musically talented, so it seemed singing was always a part of family events. After graduating from high school, Mike moved to Kentucky, where one of those aunts (his dad's other sister) lived. Married to Kim, the couple have two children: Bryan and Kayla, and two grandbabies: Emma and Caroline. I don't think there is a more proud "Popaw" to be found! Don't get him started, as he will start with the stories and pull out the picture album! BRYAN STEVENSON was born in Mt. Sterling, KY and lived there until the 4th grade. At that time, his father went into full time pastoral ministry and his family moved to Hamilton, OH where he attended the Millville Avenue Church of God. A year and a half later, they family moved back to KY where Bryan’s father, Bush, was an Associate Pastor at the First Church of God in Winchester. They stayed there until Bryan was a sophomore in high school then moved to Ashland, KY. Bryan attended DeVry Institute and graduated with a BS in Electronic Engineering. Soon thereafter, he moved back to Winchester, KY and started working at Toyota Motor Manufacturing, where he continues to work today. KEVIN WILLIS grew up in Dixon, Illinois, the oldest son in very musical family. His mom and dad were the choir director and pianist at their local church. Kevin “grew up on Southern Gospel Quartet music.” His mother tells the story of him being pushed (still in an infant seat) under the front pew of the church during Saturday night singing—as they were both a part of a quartet in the early 60’s. At age ten, his family began to travel and sing regionally, and they continued throughout Kevin's high school years. CBQ typically travels in a tour bus, and therefore are able to provide our own sound system for events. Depending on the venue, and your needs, we are also open to using on-site equipment. Contact us to work out details for your specific event. CBQ customizes its performances the venue, audience and time parameters of each event. Sets are constructed from the list of songs shown below. If you have specific selections that you would like included please contact us to make your request. The men of CBQ understand and acknowledge that their relationship with Jesus Christ is the basis for their ministry. Each of them has been singing to share about God's love, forgiveness and promises for over 20 years - together, or with other groups. To be determined individually for each venue.